Allow me to wax romantic for a moment. 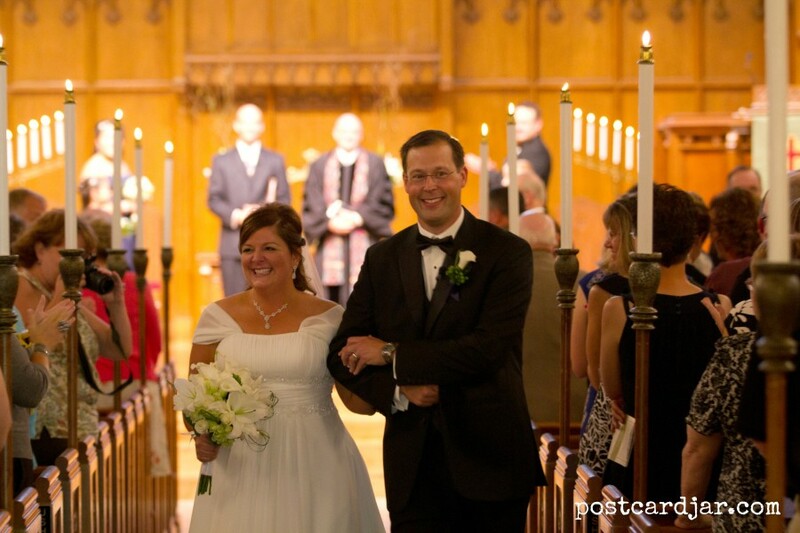 June 7, 2011, I proposed marriage and Ann said, “yes,” making me the happiest man on earth. It all began the summer before, when she invited me to a College World Series game the last year it was at Rosenblatt Stadium in Omaha, Nebraska. At the time, it was just that, an invite from a friend to meet at a baseball game in a city just up the road from where we both lived in southeast Nebraska. We even drove separate cars. Our romantic engagement story that started at a baseball field and ended with a diamond ring. We had a great time that night, watching top-notch baseball and somehow found ourselves quoting lyrics from the “Music Man” throughout the game. It was the start of something pretty special for both of us. A month later, when we’d both returned from separate, already planned vacations (me to Costa Rica and Ann to Michigan), I invited Ann to a wine tasting. And then to dinner. And then to a football game, and so on. In the press box at a Kansas City Cheifs game. Ann had connections. About six months into our relationship, Ann commented that she was disappointed because she didn’t know what she’d done with her ticket from that first baseball game we’d attended together. She said had she known that night it was going to be the start of our long-term relationship, she would have saved her ticket. After dating for about a year, we starting having discussions about marriage. While we were both confident the other was “the one,” we decided to go through pre-marital counseling before getting engaged. At 38 and 42, and having never been married, we didn’t want to get our friends (and parents) too excited if there were things we needed to work on before taking the next step. I wasted no time and called my pastor and set up the meetings. We had this scripture read at our wedding. 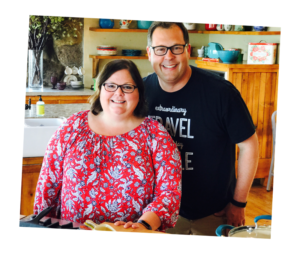 The pre-marital counseling sessions were great and I was more convinced than ever that we were going to have a fantastic marriage. I couldn’t wait to begin our lives together as husband and wife. 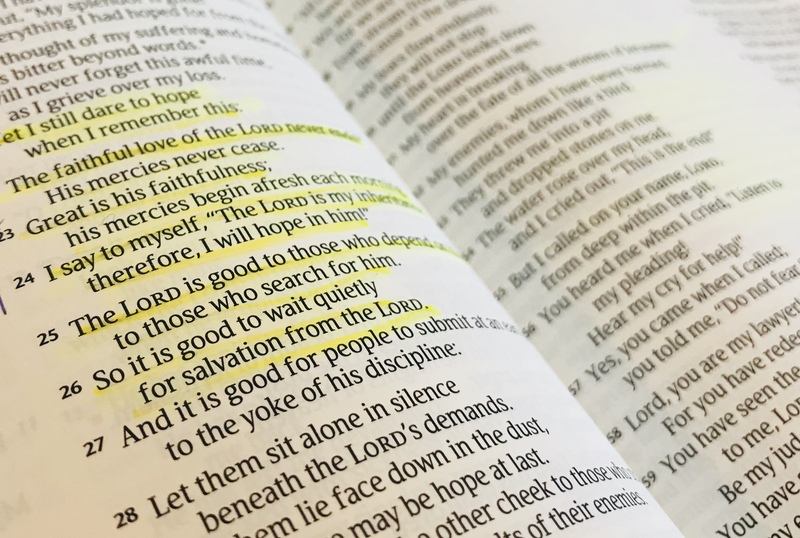 The evening of our last counseling session, I was done waiting. I called my parents and told them I was going to propose and then drove over to Ann’s parents’ house to ask for their blessing. Of course, everyone happily approved. I didn’t do anything fancy or over the top, as that’s not who we are. It was just the two of us, in her kitchen on a random Tuesday night. But I did have two very special gifts for Ann. First, I gave her a package, wrapped in brown shipping paper. As she began to open it, I explained that while she may not have saved her ticket from the College World Series game where it all began, I had a feeling there was something special about her and I’d saved mine. 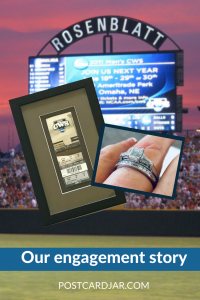 The College World Series ticket from our first evening out together. 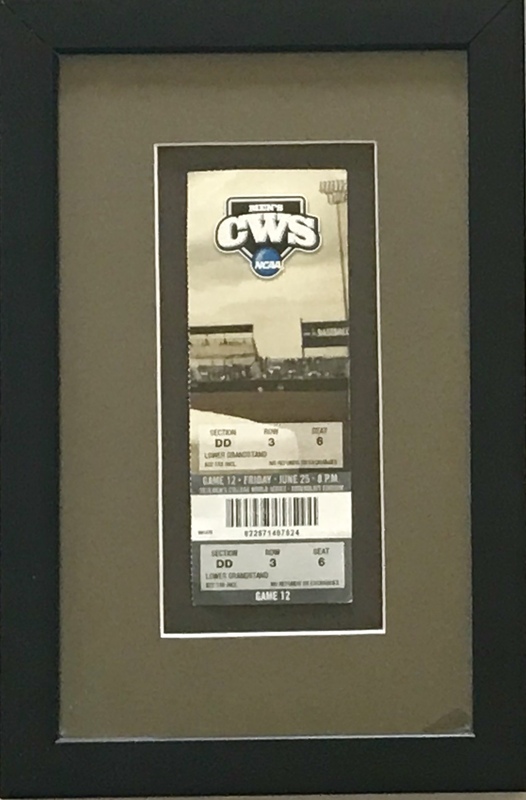 She burst into tears when she recognized the gift — the section DD, row 3, seat 6 ticket from Game 12 of the CWS. Framed. 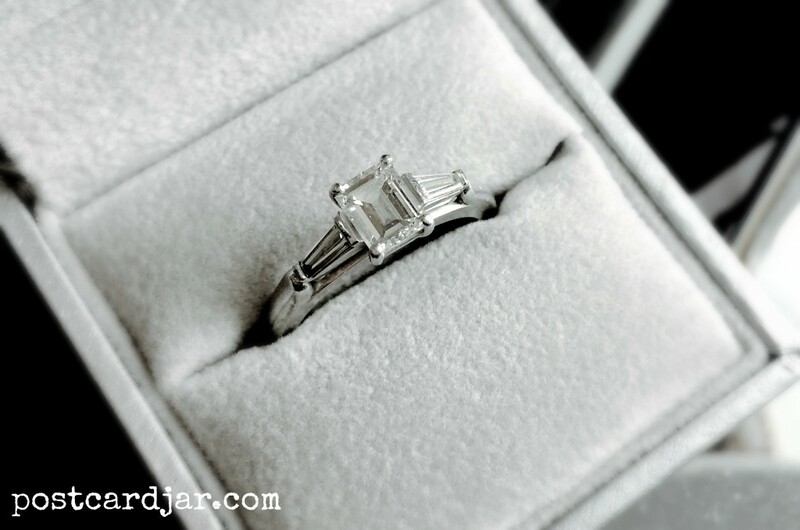 Then, I dropped to one knee, and gave her the second gift — an emerald cut diamond engagement ring that my grandmother Teget had worn for almost 70 years. The diamond engagement ring I gave Ann was worn by my Grandmother Teget for almost 70 years. Looking back on that night, I’m reminded that travel is all about opportunities. It’s about fresh starts, meeting new people, and experiencing things you’ve never done before. You never know what will happen when you just go somewhere, no matter how close or far away the destination might be. In my case, I’m so glad I took that short, 75-mile trip up the interstate to Omaha to watch a baseball game with a friend. What could have been just another evening at the ballpark turned out to be the a journey of a lifetime. As always, thanks for “sharing” and pinning. 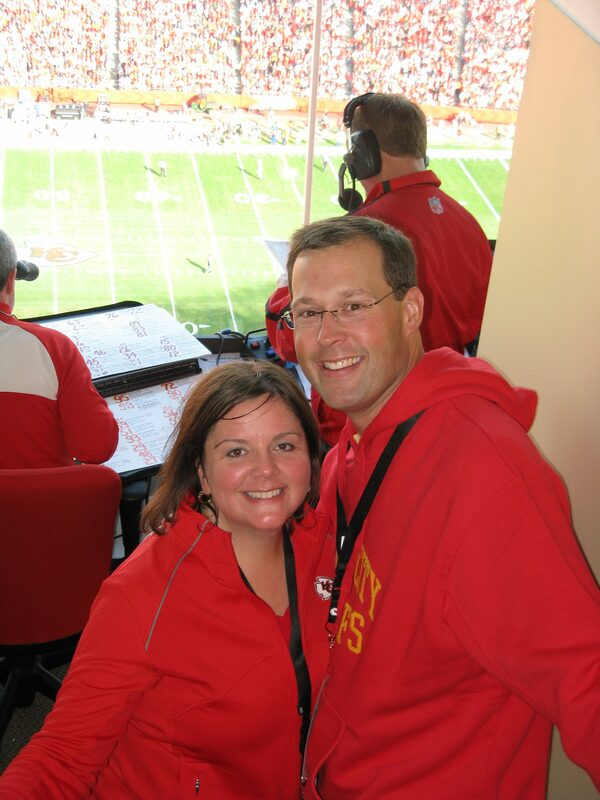 Steve and Ann, First let me congratulate you on your anniversary! You are just the sweetest couple. Thanks for inviting me to join your Postcard Jar on FB. I know that I am going to love reading about your adventures. Thanks for joining us, Jean! We hope you enjoy reading our blog. Feel free to ask any questions you might have! I really enjoyed not only your wonderful descriptions of Toadstool Park & important travel details ( especially the part about the many unexpected beautiful vistas on the detour) but also your personal touch of the comments from both of you! I would really like to share this via e-mail with a group of my college friends & family!! Also read your blog( if that is the proper term!) about your game that lead to a ring! I would really like to share that with a young man who was my student ( I only substitute but have been at this school for many years as he is now a teacher there.) Recently he told me about his recent engagement and even showed me the video he had made of his plans and asking her parents. Plus the video of her watching it and then of him proposing on bended knee! With all that ” long preamble” I am asking permission to share–but I am not very good at things technical. Can I share it to my e-mail so can share from there or might I ask you to email me the link ?! THANKS AGAIN FOR THE DELIGHTFUL BLOGS AND THANKS IN ADVANCE FOR LETTING ME SHARE, if you do? Of course, please share! It might be easiest for you to first “like” our Facebook page. Just put “Postcard Jar” in the browser at the top of your FB page and then “like” our page. You can invite others to also like the page by clicking on the “invite friends to like this page” on the left side of the screen on FB. We are so appreciative of your kind words and hope you’ll continue to reading Postcard Jar. And, when you travel, be sure to send us a postcard at Postcard Jar, P.O. Box 334, Crete, NE 68333. We’d love to hear from you. Almost as sweet as our love for one another. (OK, that was probably a little too mushy.) Seriously, Dee, thanks for the comment. We feel pretty blessed.